Classic film noir was Hollywood's "dark cinema" of crime and corruption; a genre underpinned by a tone of existential cynicism which stripped bare the myth of the American Dream and offered a bleak, nightmarish vision of a fragmented society that rhymed with many of the social realities of forties and fifties America. Mean Streets and Raging Bulls explores how, since its apparent demise in the late fifties, the noir genre has been revitalized during the post-studio era. The book is divided into two sections. In the first, the evolution of film noir is contextualized in relation to both American cinema's industrial transformation and the post-Depression history of the United States. 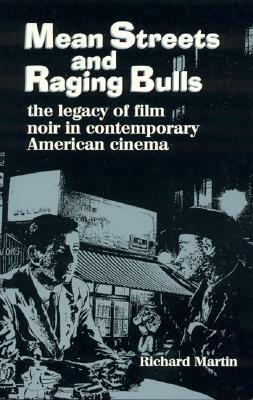 In the second, the evolution of neo-noir and its relation to classic film noir is illustrated by detailed reference to representative texts including Chinatown (Roman Polanski, 1974), Night Moves (Arthur Penn, 1975), Taxi Driver (Martin Scorsese, 1976), Blood Simple (Joel and Ethan Coen, 1984), After Hours (Martin Scorsese, 1985), Sea of Love (Harold Becker, 1989), Resevoir Dogs (Quentin Tarantino, 1992), and Romeo is Bleeding (Peter Medak, 1994).